It’s the end of an era for gamers who have stayed faithful to the Rock Band series since its 2007 inception. 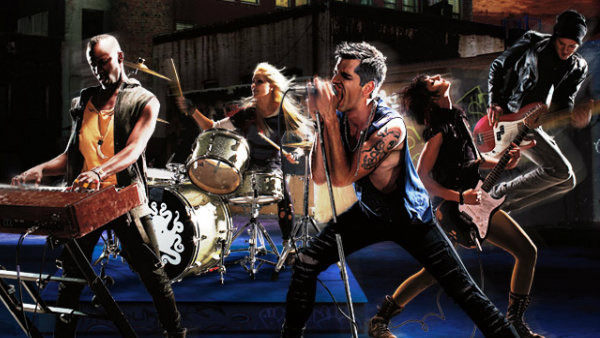 After over 5 years of weekly downloadable songs being released for the iconic rhythm game franchise, developer Harmonix has announced that April 8 will be the last day they release new Rock Band 3 DLC. Harmonix representatives said the main cause for ending weekly tracks was the development of several new, currently unannounced projects that required additional manpower. All current online features for the series, including multiplayer, leaderboards, and online play, will remain onnline for the foreseeable future, and the community-run Rock Band Network that allows for independent song releases on the Xbox 360 versions of Rock Band 2, Rock Band 3 and Rock Band Blitz is also scheduled to continue being supported. As a longtime fan of the Rock Band series, and the one who got the opportunity to review Rock Band Blitz last year, I can see that this is a sad announcement, but was an inevitable one in some respects. The music/rhythm game genre, especially those based around peripherals such as Guitar Hero and DJ Hero, has declined noticeably in recent years, so it’s impressive that Harmonix was able to stay committed to delivering content for so long. I have plenty of great memories associated with the franchise over the years, and hopefully Harmonix will be able to create some new ones in the future with whatever new projects they’re currently working on. Do you have any thoughts on the news, or the Rock Band franchise as a whole? We’d love to hear your thoughts.